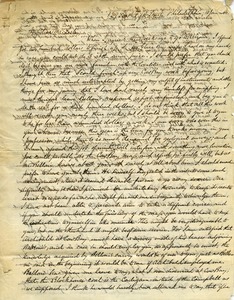 Letter from Benjamin Smith Lyman to J. P. Lesley, Esq. 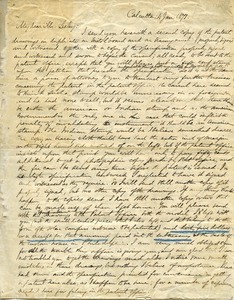 Philadelphia (Pa.) - Lyman explains the tardiness of the tables and maps he is sending to Mr. Lesley, and discusses postage rates for the maps, a complication with copyrighting the tables and maps, and an enforced holiday due to a case of "French Measles." 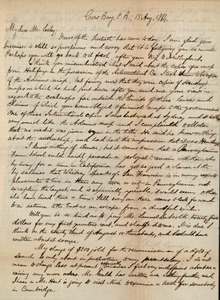 Cape Breton Island (N. S. ) - Mr. Belloni writes to inquire about the status of Lyman's incomplete survey work on the Block House vein of coal at Cow Bay, Cape Breton. 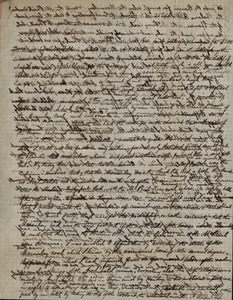 He asks whether Mr. Lesley has all of the information needed to complete the work, and when to "anticipate the receipt of drawings." Note that Lyman's Cow Bay was renamed Port Morien in 1895. Cape Breton Island (N. S.) - Lyman resolves a confusion concerning one of Mr. Lesley's maps, mentions Brewer's move to California, explains his rate for "reconnaisance of a a Right of Search," and touches briefly on his recent work and social activities. 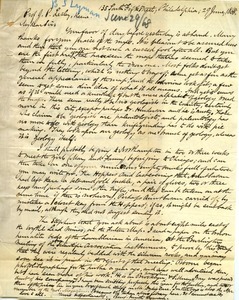 Pennsylvania - Receipt for $140 received by Benjamin Smith Lyman from James Whestham for expenses related to geological survey and report of a 319-acre tract in Clinton County. 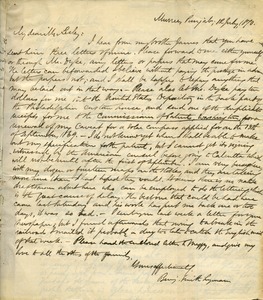 Letter from Benjamin Smith Lyman to Prof. J. P. Lesley, Keene, N. H.
Philadelphia (Pa.) - Commenting on the rarity of Prof. Lesley's appreciation for the full utility of a set of survey maps, mentioning several of Aunt Susan's belongings left at the Hoppers', and responding to an inquiry about the Stephen's tract. 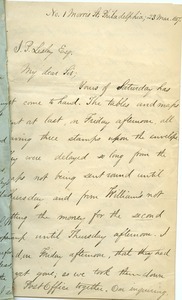 Murree (Pakistan) - Lyman requests that Mr. Lesley or Mr. Dyke arrange to have letters and papers forwarded to him in Murree, asks that Mr. Dyke arrange to extend the Caveat on the Solar Compass patent, and discusses the difficulty of finishing survey maps without a local draftsman to complete the lettering. Northampton (Mass.) 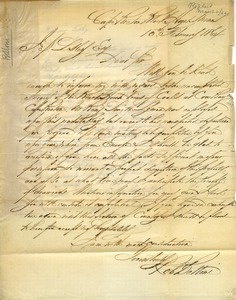 - Lyman informs Mr. Lesley of the status of a map reproduction, in progess, for possible publication. 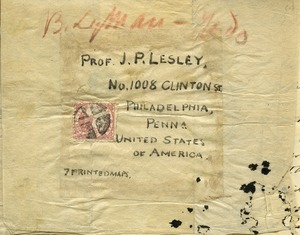 The envelope for the letter is included.